Your floors are one of your home's biggest investments. In order to protect them and keep them looking like new, you need to clean them properly and regularly. The cleaning method will depend upon the type of floors you have. Make sure you know your floor care requirements before you clean your floors, because what works on one surface can ruin another. Asphalt tile. 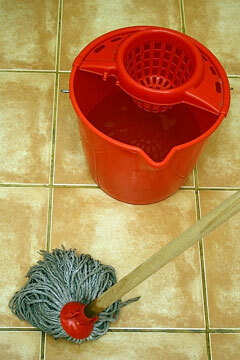 A weekly wet mop to your asphalt tile floor means that you won't have to polish it as often. 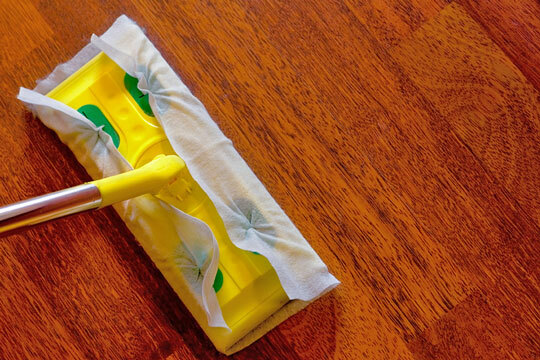 A 1/2 cup of fabric softener diluted in water will help keep the floor shiny. Avoid using strong soaps or any kind of scouring powder, as these products can damage the surface. Brick. In order to minimize maintenance, keep your brick floors waxed and sealed. Vacuum them regularly, and follow up with a damp mop. Ceramic Tile. 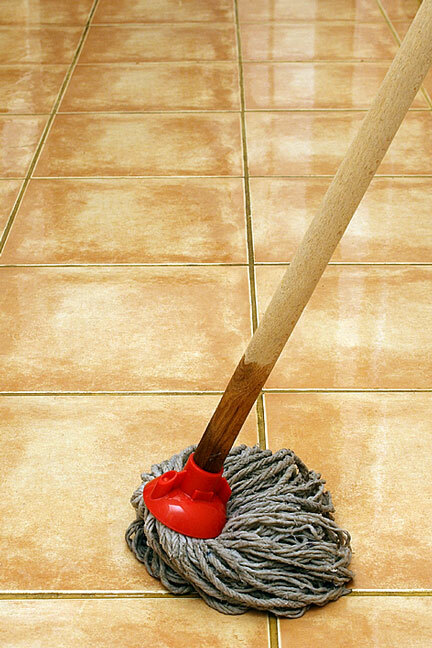 Ceramic tile is one of the easiest floors to maintain, as it is more or less stain-proof. Regularly run a damp mop with an all-purpose cleaner over your tile floors, and dry with a soft cloth to prevent streaks. Avoid using harsh soaps or strong abrasives. Concrete. Because cement is porous and soaks up stains, it's a good idea to seal it with a commercial sealer. For concrete floors that remain unsealed, sweep up the dirt regularly. Wash concrete floors periodically with a strong cleaner. Flagstone and slate. Also porous, these floors must be sealed with a commercial sealer followed by an acrylic floor finish. Occasionally strip the wax buildup from these floors and apply a fresh coat of wax. Flagstone and slate can be regularly cleaned with plain water, an all-purpose cleaning solution, or a mix of fabric softener and water. Linoleum. In order to keep its shine and repel dirt, linoleum must be waxed. Regular maintenance is as easy as vacuuming and running a damp mop over it. Fine-grade steel wool can be used to remove particularly stubborn stains, like heel marks. Marble. Marble, yet another porous material, must be commercially sealed. Regular maintenance should include mopping with all-purpose cleaner and occasional waxing. Vinyl. 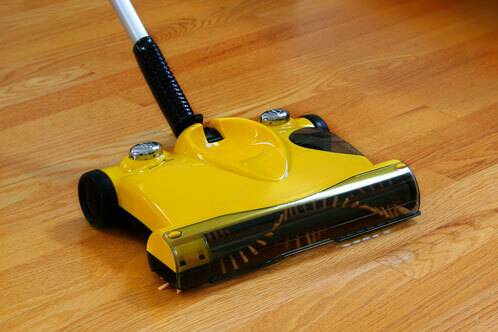 No-wax vinyl floors are some of the easiest floors to maintain. They can be vacuumed, then mopped with an all-purpose cleaning solution. Heel marks and other stubborn stains can be removed with a synthetic scouring pad. Quality floor care and maintenance products are offered by several firms, including SC Johnson (Pledge), Armstrong, and Holloway House.